Council meetings convene at 6:30 p.m. and are held in the David Scobey Council Chamber in the Metropolitan Courthouse. 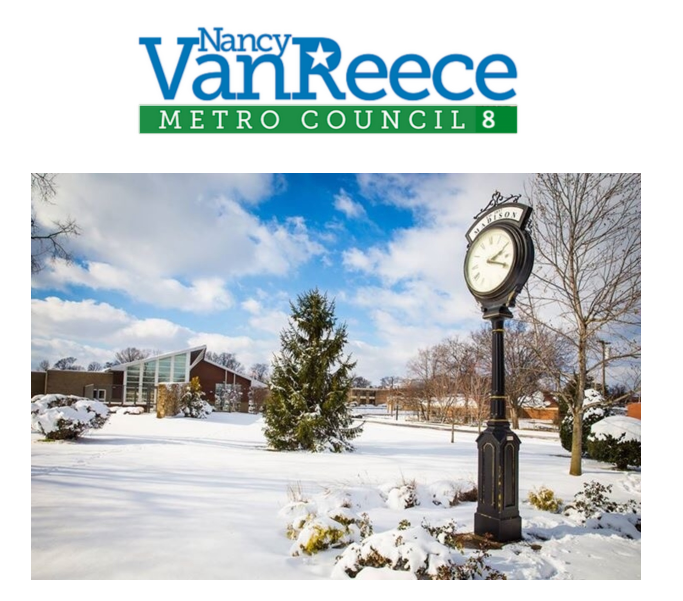 The Metropolitan Council convenes for regular meetings the first and third Tuesdays of every month at 6:30 p.m. 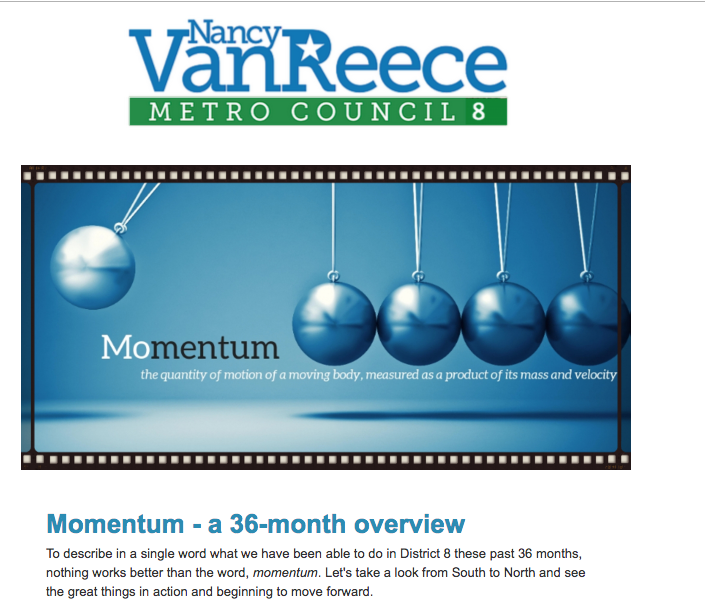 Meetings are broadcast live at Metro Nashville Network on Nashville's Comcast Channel 3 and are streamed live at the live stream site. Meetings are scheduled for repeat through the course of the following weeks, check program listing for times. Join me for an open office hour. No agenda, just conversation. 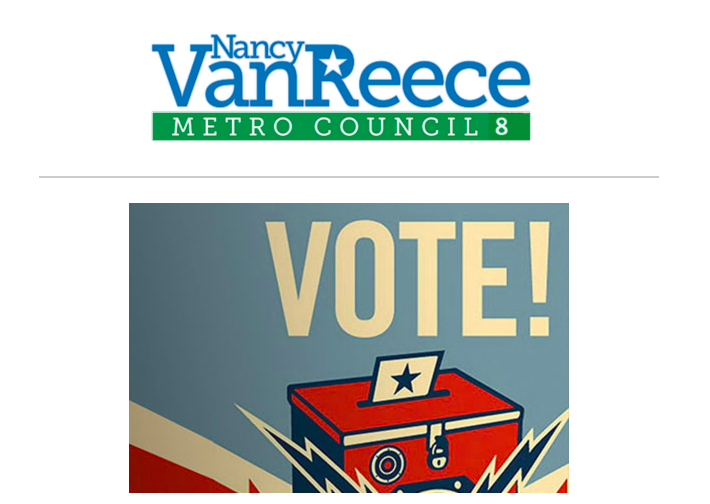 This will play all statements made by Nancy VanReece during Metro Council Meetings, Planning Commission Meetings, Historic Commission Meetings, Board of Zoning Appeals, or in the news. This information from the OpenSource data. If you click on a link and it doesn't go through - copy and past the item number and Google Search will provide full text. An ordinance amending section 17.16.250.E of the Metropolitan Code of Laws to establish a 36-month moratorium on the issuance of new Type 2 and Type 3 short term rental property permits for properties zoned for single and two-family residential use (Proposal No. 2017Z-006TX-001). An ordinance to amend Title 17 of the Metropolitan Code of Laws, the Zoning Ordinance of The Metropolitan Government of Nashville and Davidson County, by changing from RS10 to SP zoning for property located at 710 Due West Avenue North, approximately 150 feet from Old Due West Avenue (0.58 acres), to permit ten residential units, , all of which is described herein (Proposal No. 2017SP-009-001). An ordinance authorizing The Metropolitan Government of Nashville and Davidson County to abandon existing sanitary sewer main, a sanitary sewer manhole and easements and to accept new sanitary sewer main, sanitary manholes and easements for properties located at 903 and 905 Curdwood Boulevard, (MWS Project No. 16-SL-252 and Proposal No. 2017M-085ES-001). An ordinance approving a lease agreement between the Metropolitan Government of Nashville and Davidson County and the Electric Power Board of the Metropolitan Government of Nashville and Davidson County to construct a community solar array at 801 Old Due West Avenue (Map/Parcel No. 05100002200), commonly known as the Old Due West Landfill (Proposal No. 2018M-002PR-001). An ordinance to amend the Geographic Information Systems Street and Alley Centerline Layer for the Metropolitan Government of Nashville and Davidson County, by naming a Frontage Road “Inspiration Boulevard.” (Proposal Number 2017M-011SR-001). 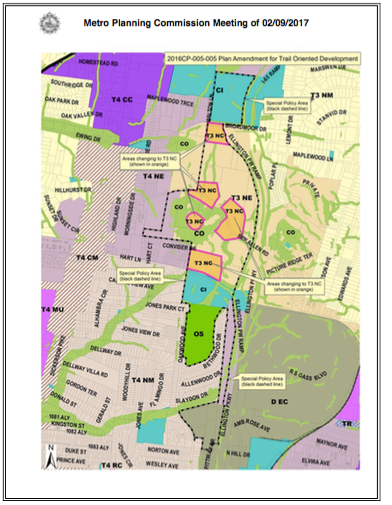 An ordinance to amend the Geographic Information Systems Street and Alley Centerline Layer for the Metropolitan Government of Nashville and Davidson County, by changing the name of a portion of Cheron Road to “Creative Way.” (Proposal Number 2017M-012SR-001). An ordinance to amend Title 17 of the Metropolitan Code of Laws, the Zoning Ordinance of The Metropolitan Government of Nashville and Davidson County, by changing from R10 to SP zoning for property located at 609 Cheron Road, approximately 1,075 feet west of Briarville Road, (3.58 acres), to permit up to 120 residential units, all of which is described herein (Proposal No. 2016SP-072-001). An ordinance authorizing The Industrial Development Board of The Metropolitan Government of Nashville and Davidson County to negotiate and accept payments in lieu of ad valorem taxes with respect to the Opryland Hotel and Convention Center, amending Ordinance No. BL2010-727 to extend the period for allocating certain hotel taxes to the funding of the cost of flood-related repairs and renovations to the Grand Ole Opry House and authorizing the Director of Public Property Administration to accept the donation of two parcels of property (Parcel ID Nos. 06213012700 and 06213012800) for use in the Metropolitan Government's public park system (Proposal No. 2017M-011PR-001). 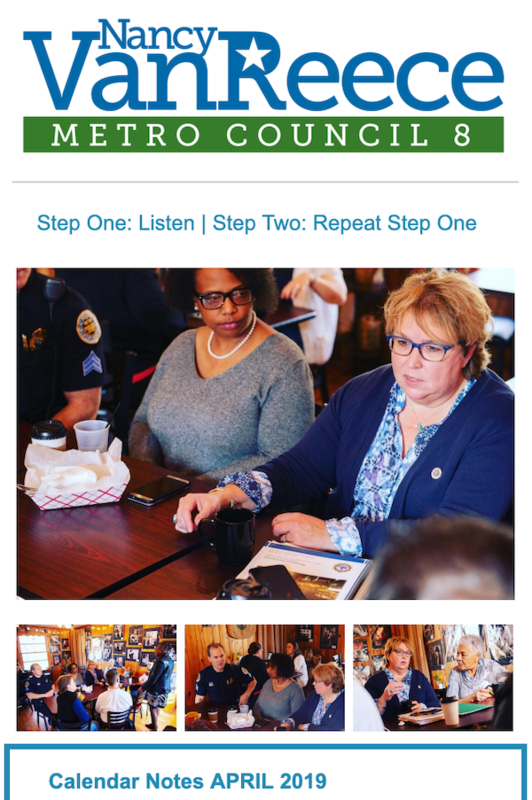 Committee chairs are traditionally listed as sponsors or cosponsors of legislation submitted by Metro departments. A resolution approving an intergovernmental agreement by and between the State of Tennessee, Department of Transportation, and The Metropolitan Government of Nashville and Davidson County, acting by and through the Metropolitan Department of Public Works, for the reimbursement of railroad crossing safety improvements at Nesbitt Lane (0A433), Railroad Crossing #350-163Y, Fed No. HSIP-R00S(312), State No. 19960-2551-94; PIN 123207.00 (Prop. No. 2017M-002AG-001). A resolution recognizing the 2016-2017 Maplewood High School “Panthers” Boys Basketball Team and their Class AA State Championship. A resolution proclaiming April 6, 2017 as Global Meetings Industry Recognition Day in Nashville, Tennessee. A resolution requesting that Governor Bill Haslam grant clemency to Cyntoia Brown. A resolution recognizing Representative Sherry Jones for her many contributions to the City of Nashville and the State of Tennessee as a member of the Tennessee General Assembly. A resolution honoring the life, legacy, and contributions of Richard H. Fulton, former congressman and mayor of Nashville and Davidson County, Tennessee. A resolution recognizing Nashville Predators General Manager David Poile upon becoming the winningest general manager in National Hockey League history. (Adopted 01/02/2018) A resolution recognizing January as Slavery and Human Trafficking Prevention Month. 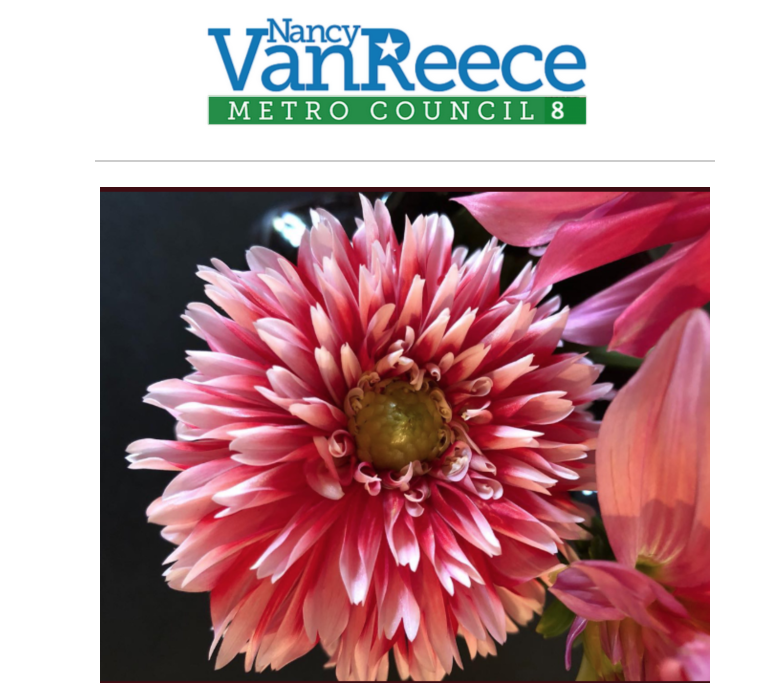 (Adopted 01/02/2018) A resolution designating Friday, February 2, 2018 as “National Wear Red Day” in the City of Nashville and marking the 15th Annual National Wear Red Day and the 15th year of the American Heart Association’s Go Red For Women Movement. A resolution recognizing October 2017 as Domestic Violence Awareness month. A resolution recognizing and congratulating Nashville Public Library, its patrons, staff, board members, supporters and volunteers for being awarded Library Journal’s 2017 “Library of the Year". A resolution requesting immediate purchase of at least 168 Metropolitan Police Department body cameras for the officers and supervisors responding to proactive calls for service, and that funding for Metropolitan Nashville Police Department body cameras be provided in Mayor Megan Barry’s proposed Fiscal Year 2018 budget, with a timetable for deployment beginning by June 30, 2017 and with implementation policies that provide for public access, independent oversight, transparency, and accountability. A resolution requesting that the Metropolitan Department of Codes Administration promptly fill existing vacancies and add additional personnel in order to effectively enforce property standards. A resolution accepting a grant from the Nashville Predators to The Metropolitan Government of Nashville and Davidson County, acting by and through the Sports Authority, in support of the Special Events Program as outlined in the Sports Authority’s Special Event Program funded by the Public Investment Plan. A resolution authorizing Mike’s Ice Cream, LLC to construct and install an aerial encroachment at 129 2nd Avenue North for (Proposal No.2016M-034EN-001). A resolution expressing the Metropolitan Council’s support for the Dam Safety Act, styled SB 2357 / HB 2292, currently pending before the Tennessee General Assembly, and requesting that the Davidson County Delegation support state legislation which limits rock quarry operations within certain proximities to dams. This website is not intended for public consumption. We make no representation as to the accuracy of the content posted here. 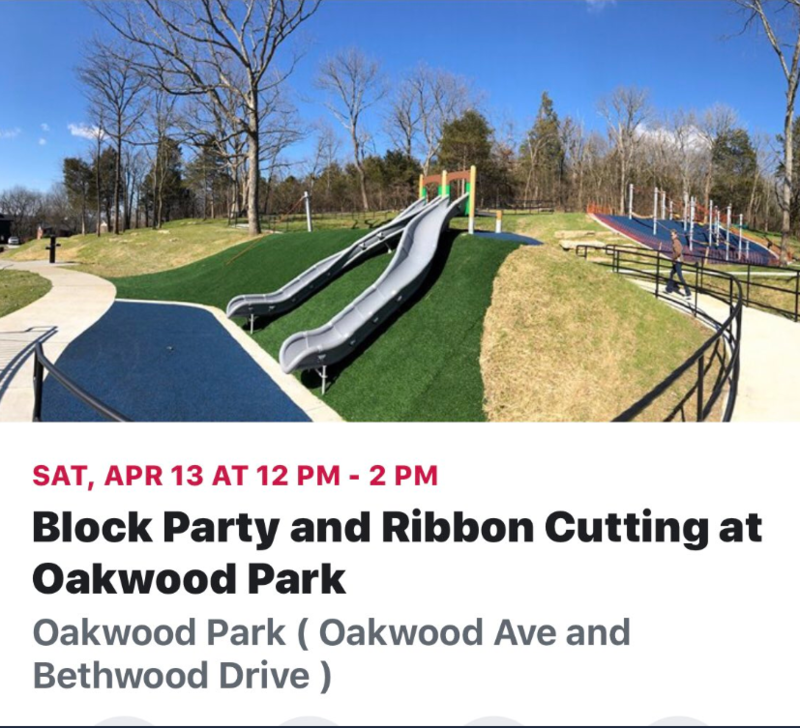 After several community meetings and input, and after incredible construction and design implementation, the million dollar upgrades to Oakwood Park will be celebrated! Join the new Friends of Oakwood Park for a block party with music and food trucks Noon- 2pm.